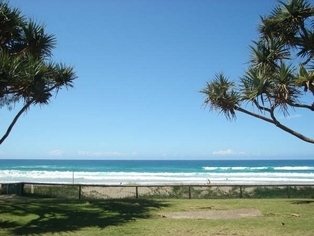 Olympus Apartments are ideally located opposite the famous Surfers Paradise patrolled beaches with only two minute walk to the centre of Surfers Paradise. 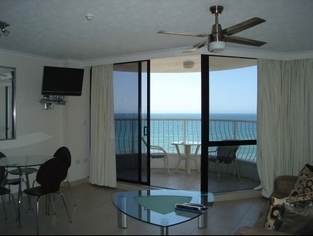 All fully self-contained one and two bedroom apartments overlook the ocean. Enjoy the panoramic views! 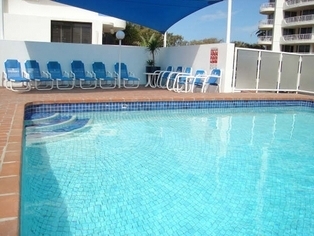 Enjoy beachfront apartment living on your next Gold Coast holiday at Olympus Apartments which is locally owned and operated by Alan & Margaret Ott. All of our fully self contained units offer 180 degree views of the sparkling Pacific Ocean. 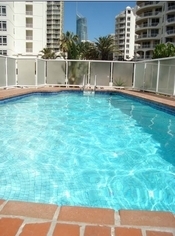 Olympus Apartments in Surfers Paradise is the perfect place for relaxation, retail therapy and culinary treats. Our comfortable apartments are guaranteed to ensure that you enjoy a relaxing holiday. Plus, we are located right on the Indy track! Stay 7 nights in our 1 bedroom apartment and only pay a reduced per night!!! 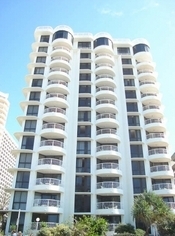 1 Bedroom fully self contained apartment with beautiful ocean views. either double or twin accommodation. Rate is for 2 guests max 4 extra guest charge $20 per night. 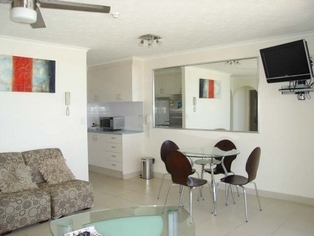 1 Bedroom fully self contained apartment with beautiful ocean views. either double or twin accommodation. Rate is for 2 guests max 4 extra guest charge $20 per night. 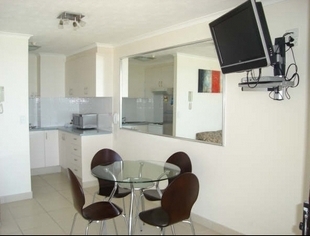 Fully self contained 2 bedroom apartment with beautiful ocean views. rate is for 4 guests max 6 extra guest $20 per night. Taxi stand outside our door, public bus stop within 2 minutes walk, restaurants and supermarket very close by. Children welcome! We have for hire bikes, board games, lego, k'nex, tennis rackets, boogie boards, beach chairs, petanque, beach towels and much more. Olympus Apartments are ideally located opposite the famous Surfers Paradise patrolled beaches with only 2 minutes walk to the centre of Surfers Paradise, where you will discover tourist attractions, fine dining and superb shopping. It's everything you need for your holiday. Nominated as "the world's best beach" by the 'Travel Channel' awards, Surfers Paradise lives up to its name. 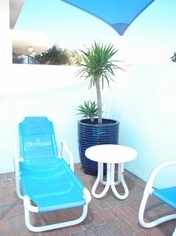 All you need to do is walk out the front door of Olympus Apartments and you are there. Free beach volleyball competitions offer fun while the nearby cafes and shopping areas make it easy to take a break with an ice-cream. 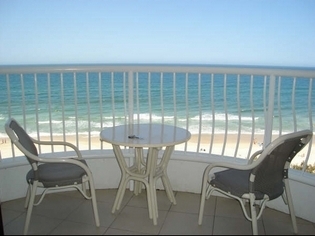 Just off the beach is Cavill Avenue with shops and plenty of dining options. Surf safety is a high priority, and swimming at unpatrolled beaches is discouraged. The Gold Coast City Council employs the largest professional lifeguard staff in Australia who patrol 17 beaches on a year round basis and 29 beaches during school holiday periods. In addition, volunteer members of the Surf Life Saving Association patrol beaches every weekend on the Gold Coast from September to May. The Gold Coast is bursting with things to do. All you need is the right advice from locals to ensure you enjoy your holiday. Plus so much more to see and do... .